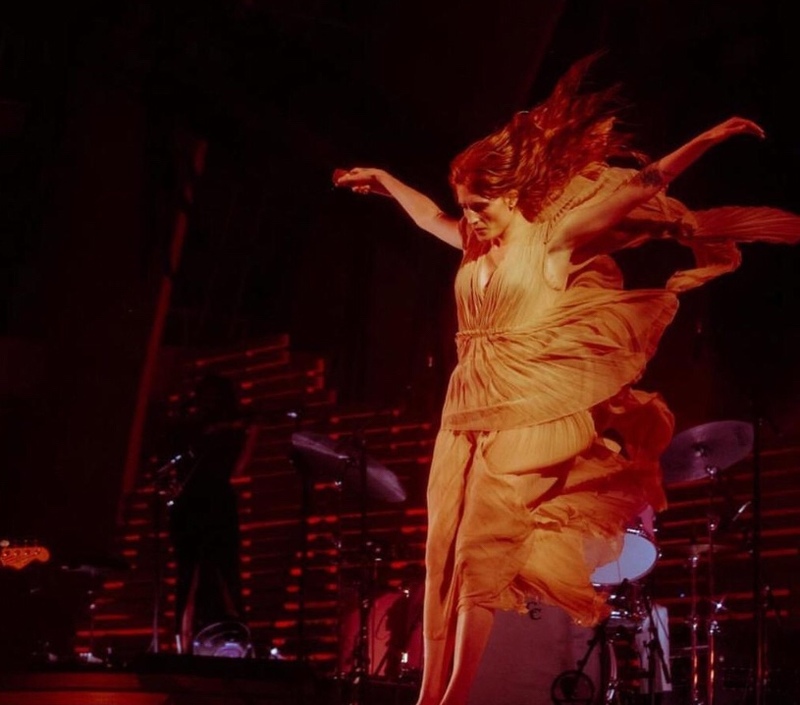 As for the fashion, Florence wore an ethereal dress with a fluid fabrication that created a free-spirited ease while she performed. As she threw her entire body into each song and effortlessly floated around the stage, the lyrical layers of her dress created an irreverence matched only by her personality. At times she suggested that we all hold hands and express our love — even to total strangers. Though I did not obey, her oddities only added to the experience. Florence is on tour to promote her third album, ‘High As Hope,’ and I was unfamiliar upon arrival. This ultimately served as an advantage. My brain did not fill in the gaps, so the experience was fresh and unbiased. The fact that her live performance exceeded the record is an incredible accomplishment. There’s a lot of time to perfect an album, but there’s only one moment to perform it. When done right, the dramatic effect is unmatched. There was a moment when Florence sang “Patricia,” and one particular verse stuck out. Because she revealed the song to be about “toxic masculinity,” this moment created a palpable intensity, as if she was singing directly to the man in question. I do not say this lightly, but of all the concerts I’ve seen in my life, Florence + The Machine is the strongest. Watch below to see Florence Welch give Seth Meyers a little insight into her meticulous creative process.